Our code of practice has been personally produced to ensure the highest possible professional standards are maintained at all times. For your peace of mind we pledge the following code. We will always conduct ourselves in a totally professional manner and behave sensitively, with courtesy and complete dignity at all times. We will always handle your loved one with dignity and respect at all times. We will always treat as confidential all information obtained in relation to our clients and the deceased. Written confirmation of all funeral arrangements will be given to clients and funeral officiates. 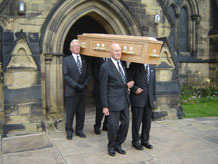 A choice of different funeral plans is always available, which will include our basic funeral. We will always provide a detailed price list, which will include the cost of our basic funeral. A full and detailed written itemised estimate will always be given following your instructions. You will always have the opportunity to make amendments or alterations. We will always tailor a funeral to your exact requirements and financial budget, especially if you receive benefits from the D.S.S. or a family of limited means. 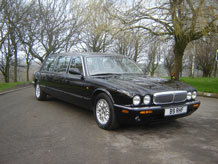 Well before the funeral is conducted you will be given the exact cost of the funeral arrangements requested. We always have flexibility and are willing to tailor a funeral to your financial budget and guarantee our costs and charges will be the lowest available quote for a comparable service. 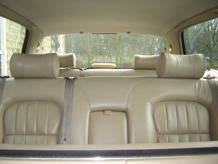 Our premises and vehicles will be kept in an immaculate condition at all times. We will give independent advice on Pre-paid funeral plans. We will comply with all Health & Safety requirements and have the necessary insurance for public and employee liability. In the rare event of a complaint arising we will always deal with this in a professional manner to your total satisfaction and without delay.